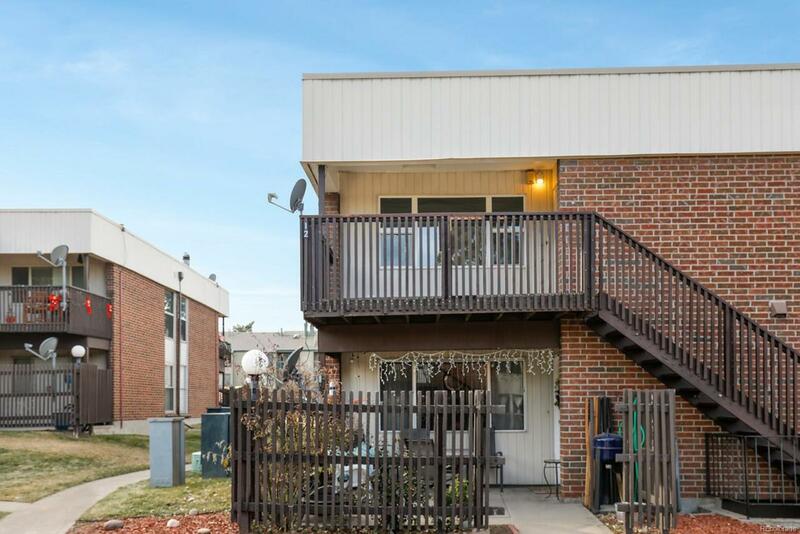 Beautifully updated upper level end unit property. Enjoy the large private balcony overlooking the peaceful grassy common areas. This home has updated carpet, tile, and modern laminate flooring throughout. The bathroom features brand new, modern tile shower surround and a new vanity. The unit has also been freshly painted. Laundry room in the unit is spacious and offers additional storage. Close proximity to Downtown, and easy access to Highway 285. This 2 bedroom, 1 bath home is truly move-in ready!